Minister for Health and Social Development, Honourable Ronnie W. Skelton (AL) said, the Department of Waste Management (DWM) and the ministry has experienced several challenges in managing unprecedented volumes of waste and debris as well as issues surrounding the fire at Cox Heath debris site and, more recently, the Pockwood Pond waste management site. Manager of the Department of Waste Management Mr Greg R. Massicote reported that the department has collected a half a million cubic yards of debris on Tortola alone. He called on to the public to reduce the volume of materials that enter the waste stream and highlighted certain recycling initiatives that were underway. He said the incinerator machine was designed to process 100 tons of waste per day most of which is covered with soil to help mitigate against fires and now has been processing 180 tons of waste per day. 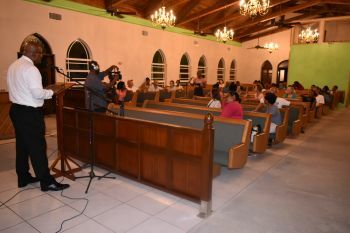 Residents voiced their concerns on the negative impacts of the recent fires in Pockwood Pond and Cox Heath and suggested ways in which government can re-structure their plans to meet the needs of the communities. 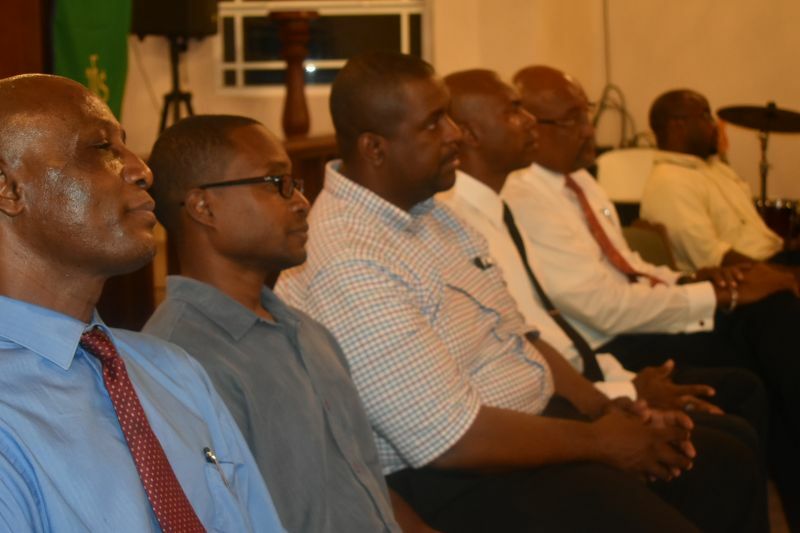 The meeting concluded with several residents volunteering to participate in a consultation group to be formed by the ministry to facilitate ongoing communication on waste management issues.